I really think this week has whizzed past, I find it hard to just sit back and pamper myself, so last night I made it my mission to dye my hair darker, have a hot bath with bubbles and candles and after that I tanned my legs, painted my nails and even experimented with new make-up looks. One of the new products that I am loving at the moment is the Boots No7 Spring collection, particularly the No7 Ballerina Beauty Blush Palette. I can safely say that this is my Spring product of the year - I absolutely love it! I think it can be quite hard to go from dark vampy lips and eyes, to springy warm shades. I'm usually quite pale (I blame my lack of holidays...) so it's nice to add some rosey cheeks to the mix! I usually apply blush the apple of my checks, I know people also apply it to the cheek bones but I think I prefer bronzer for that. What do you prefer? 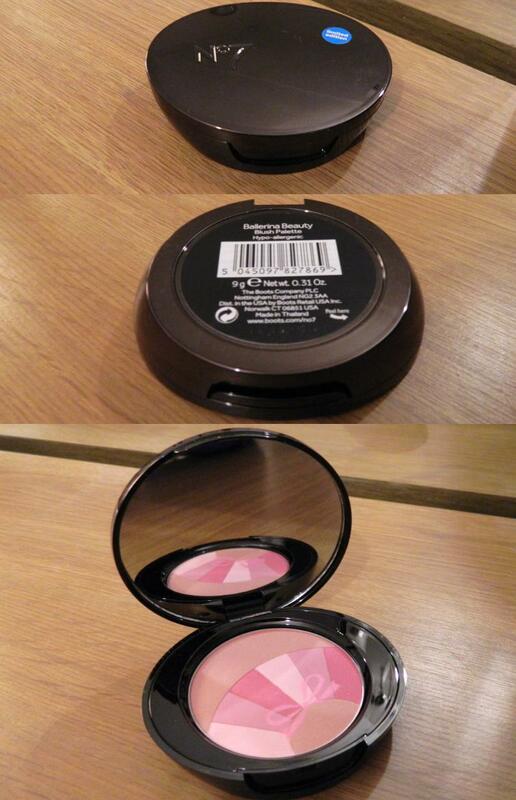 Looks like a very nice blush. It's amazing! Have you tried it?